Industrial parks concrete services are crucial to the success of the Portland, Oregon area economy. Hal’s Construction has been providing industrial parks paving and commercial concrete services to Portland area businesses and government agencies for more than 40 years. Hal’s Construction has earned a reputation for delivering superior concrete pouring and finishing services. Commercial businesses and industrial facilities throughout the greater Portland area rely on Hal’s Construction to install, maintain and repair crucial concrete and asphalt infrastructure. Commercial paving services form the backbone of the Portland area business sector. Hal’s Construction specializes in the provision of commercial paving and commercial asphalt services. Business parks and industrial complexes require sidewalks, roads and paved areas that are well designed and tough to the core. Concrete and asphalt infrastructure should be attractive, durable and serviceable. Hal’s Construction has the vital experience that industrial complex owners and government agencies desire. Only a team of experienced industrial concrete professionals is prepared to meet the unique union and freight shipping schedules typically associated with commercial and government sector operations. Hal’s Construction is also accustomed to meeting the high level of security and safety standards that industrial concrete infrastructure projects demand. Industrial park paving projects require effective communication between the contractor and facility managers. Hal’s Construction knows how to deliver superior industrial concrete pouring and finishing services. 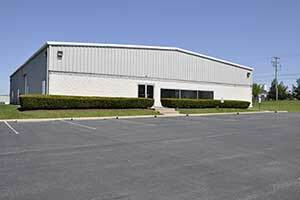 Industrial park concrete and asphalt paving have to endure the heavy traffic that vans, tractor trailers, machinery and other equipment impose. Hal’s Construction uses only the highest grade concrete and asphalt materials. When it comes to commercial and industrial concrete installations, professional knowledge and experience really do help determine the color of the bottom line on a customer’s profit and loss statement. Poor quality commercial concrete is expensive to maintain or replace. Call Hal’s Construction at (503) 226-4999 to schedule a site visit. Hal’s Construction is working harder than ever to secure new industrial concrete installation and maintenance clients in the greater Portland area. The Hal’s Construction team of experienced concrete professionals works with commercial designers, owners and developers to install or maintain concrete infrastructure projects that meet the highest standards and specifications, including replacing asphalt surfaces with durable industrial concrete. Misguided concrete installation specifications can lead to many years of poor performance and expensive repairs. Hal’s Construction specializes in the design and installation of durable, low-maintenance internal and external concrete surfaces. Hal’s Construction takes the bidding and submission process seriously. Every prospective customer receives detailed information regarding how the design specifications will be met, including the geotechnical report, subgrade support, pavement thickness, layout, surface fatigue criteria, joint spacing specifications and load standards. Properly installed concrete pavement delivers aesthetics, serviceability, durability and minimal life-cycle costs. Hal’s Construction does everything possible to understand and meet all customer expectations and success criteria. The final product really does matter. Portland area business and government sectors can rely on Hal’s Construction to provide premium industrial parks concrete and industrial parks paving services. Hal’s Construction offers an iron clad guarantee on all materials and craftsmanship. Call (503) 226-4999 today to receive a free project consultation and estimate. Hal’s Construction has been installing concrete the right way for more than 40 years.